Beer is one of the oldest and most popular American beverages around. Just about anyone who has consumed any kind of alcohol has probably at the very least tasted beer. It is one of the most inexpensive yet loved alcoholic beverages in the industry. Beer comes in hundreds of varieties and flavors, combinations and levels of alcohol contents. While it is very popular in all areas of the world, people most often only pay attention to it when they are drinking it. Despite the fact that you’re more likely to see Schlitz in a can out in the wild than a bottle, back in 1911, things were different. The Milwaukee-founded brand was the first to block out the sun via a brown bottle, which keeps your beer as fresh as possible until you pour it into a glass. Schlitz also invented the tall boy, likely to ensure that people would have something fun to carry around in tiny paper bags. The fact that Oktoberfest is held mostly in September is one of those head-scratchers. 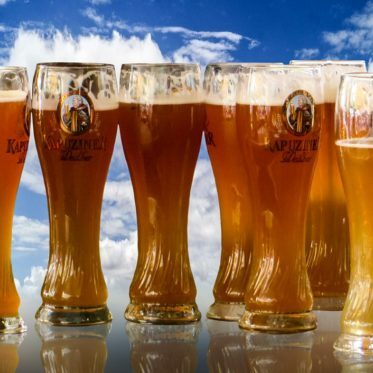 But one thing that makes perfect sense is that in a little more than two weeks from mid-September to October in 2015, Germans and beer-loving tourists from all over the world drank 7.3 million liters of beer during the Oktoberfest celebrations. It’s not often obvious what your favorite brewery is named after. For example, Dogfish is not named after the sea creature named dogfish. It’s a place in ME where founder Sam Calagione spent his summers… and that place was named after the sea creature. But we digress! Smuttynose is named after an island off the NH coast where a double murder happened in the 1870s. Considering that Anheuser-Busch is a global beer-making conglomerate, it shouldn’t be surprising that it employs a ton of people. But what might be surprising is that the craft beer industry in total employs over 121,000, which is still fewer people than just AB, at over 150,000. And that doesn’t even include the hundreds of its employees that are horses. People can read these days — after all, you’re completely dominating this story on beer right now. But back when the Trappist monks began producing beer, they needed a way to help differentiate between how strong the beers were. And since they couldn’t write “This Beer Will Make You Feel Real Good, Real Fast” on the barrel, the theory is that they marked select beer with two X’s to show it was twice as strong as the beer marked with a single X. Funnily enough, the beer style isn’t all that strong compared to the types of beers consumed today: between 6.25-7.5%. Pretty sure the brewers behind Rolling Rock were just huge Larry Bird fans. Like Larry Legend, the beer is sheathed in green and has a 33 on it. End of story. Rolling Rock itself presents 11 different theories as to why the 33 is there. Among them: the “founding members of the brewery bet $33 on Horse 33 and won,” or the fact that the beer is brewed at 33 degrees. We think it might be because the Latrobe brewery was bought in 1933. Just a hunch.